Is Anti-Semitic Stunt the End for YouTube Star PewDiePie? YouTube's most popular star, PewDiePie, is known for his outlandish pranks and crude jokes, but this time he may have gone too far by posting anti-Semitic imagery in a number of videos. 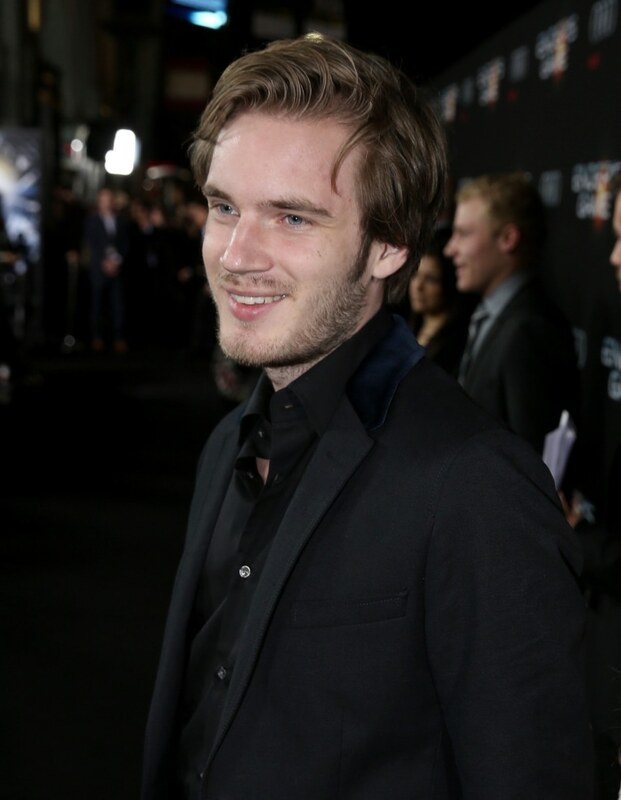 Disney's Maker Studios is severing ties with PewDiePie, real name Felix Kjellberg, after the Wall Street Journal reported on the offensive videos. YouTube, the platform where Kjellberg catapulted to fame playing video games and where he has made millions of dollars, signaled it is distancing itself from the star by canceling the release of his upcoming second season and removing him from the Google Preferred channel, a representative told NBC News. In one video, the Swede paid two Indian men through the service Fiverr, where people do freelance jobs for as little as $5, to make a video shirtless, holding a sign that said, "Death to All Jews." The video has since been deleted, but in a clip posted on the Wall Street Journal's website, Kjellberg appears surprised the men actually followed through with the stunt, which they later apologized for and said they did not know what it meant. Other videos included swastikas drawn by fans; the Nazi anthem; and, in one video, the Swede donned a brown uniform and watched a Hitler speech, according to a review by the WSJ. Many of the offending videos appear to now be deleted. "He keeps arguing it is just a joke, but joking normalizes this in the long term," Richard Levick, founder and CEO of Levick, a global communications firm specializing in crisis communications, told NBC News. Kjellberg made $15 million last year, ending in June, according to a review by Forbes, making him the highest paid YouTube star. He has amassed nearly 14.7 billion video views since he started his account in April 2010, according to Social Blade. On Sunday, a post on a Tumblr account Kjellberg has been known to use said he was not supporting "any kind of hateful attitudes" and that he understands "these jokes were ultimately offensive." "I was trying to show how crazy the modern world is, specifically some of the services available online. I picked something that seemed absurd to me — that people on Fiverr would say anything for 5 dollars," the post said. "As laughable as it is to believe that I might actually endorse these people, to anyone unsure on my standpoint regarding hate-based groups: No, I don’t support these people in any way," the post said. Kjellberg did not immediately respond to NBC News' request for an interview. "I think it is clear from his responses, his non-apology apologies, he thinks his brand is big enough to withstand this and the controversy will do him well and he will get more subscribers," Levick said. "Until he suffers any financial consequences, he will only see this as brand additive," Levick said. It's this mentality that "as long as they're talking about me, it's a good thing."